Mark Reibstein is an English teacher and writer who has lived in New York, California, Hawaii, Japan and Thailand. While living in Kyoto, he met a cat named Wabi Sabi, and they remained very close friends for ten years. 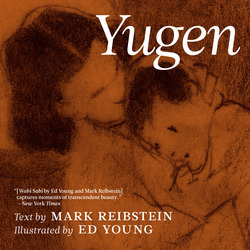 The result was a book written by Mark and illustrated by Ed Young, called Wabi Sabi that has amazed readers everywhere since it's publication in 2008 and was named A New York Times Best Illustrated Children's Book.